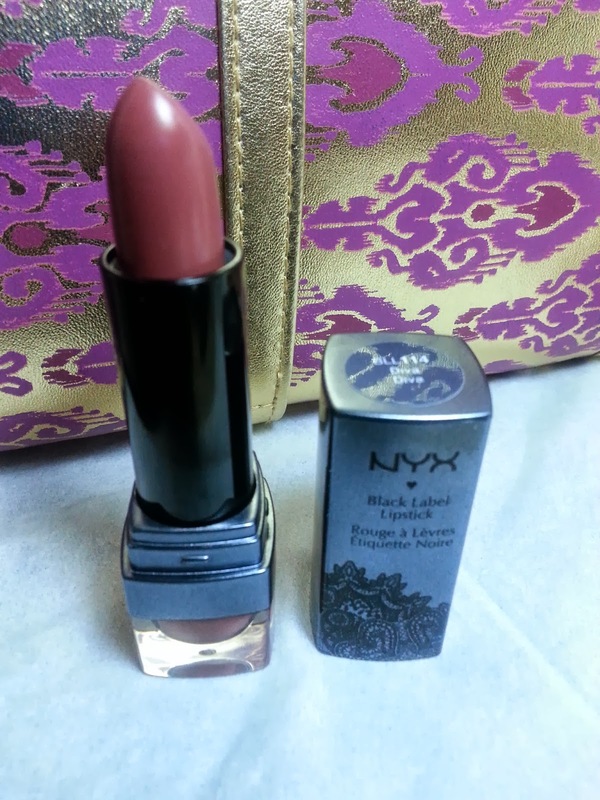 Hey Lovlies, so I am back with my haul, and this time all the product are from NYX! I could say that the majority of my make up items are from NYX! That's show how much I love this brand. Anyway, lets see what I got this time :-) ! Black label lipstick is one of my favorite lipstick ever. 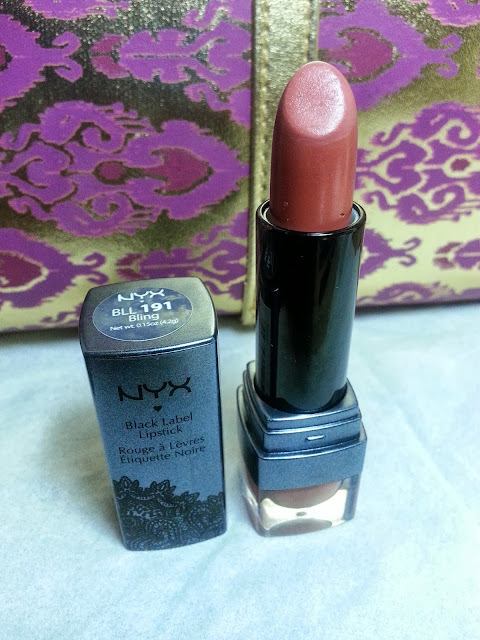 The color is great and it doesn't dry off my lips, and it smells like candy. Love them! 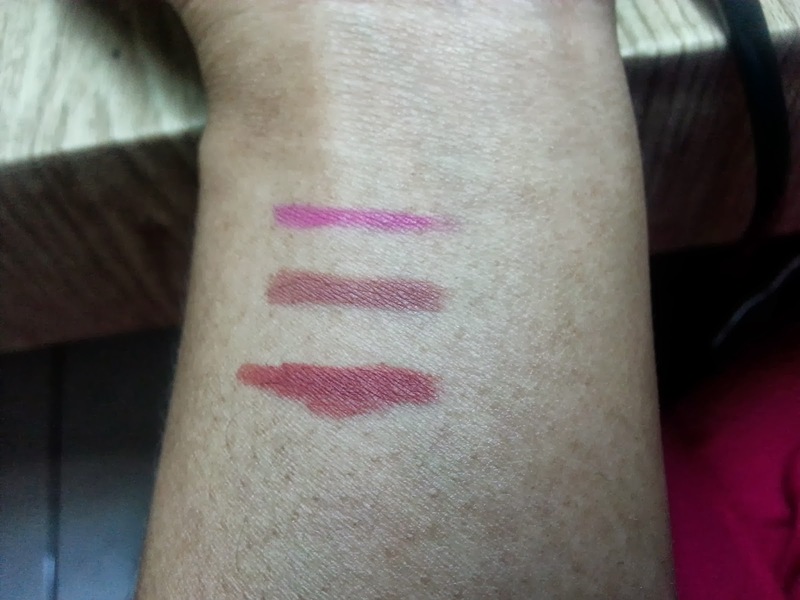 Both of the colors leans toward to pink, but I think Diva is a bit deeper while Bling is more sheer. I got to say that Diva is a perfect shade for my lips and I am pretty sure I would wear it almost ever day for this week. I already have some of NYX Slip Lip Pencil but I just have to grab more because I simply cant get enough of them. 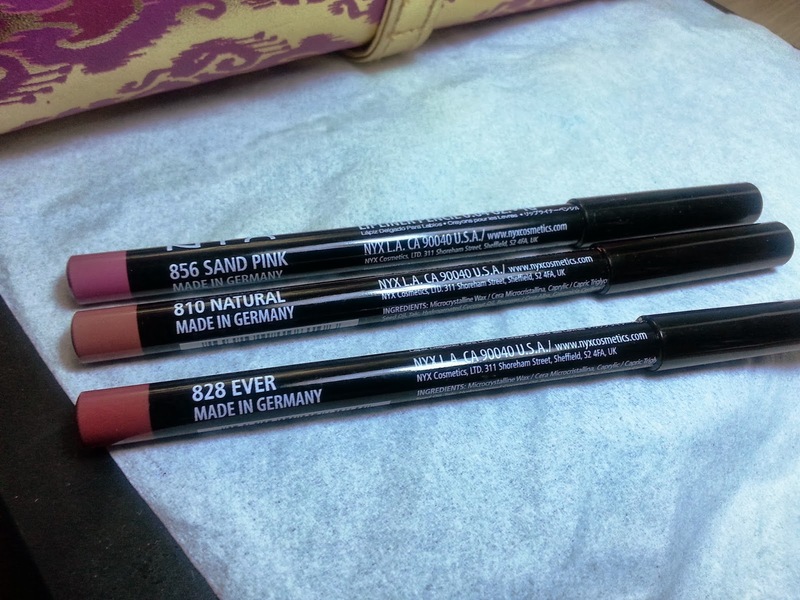 If you are looking for a good lip liner, I really recommend you to get this. 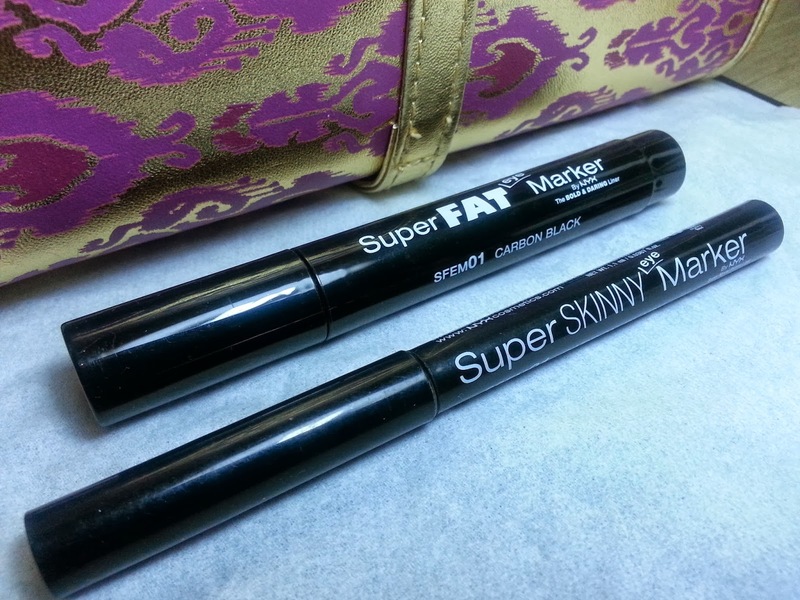 In my review about eyeliner, I've already mentioned NYX Super SKinny Marker and how i love it so much. That's why i bought another one. 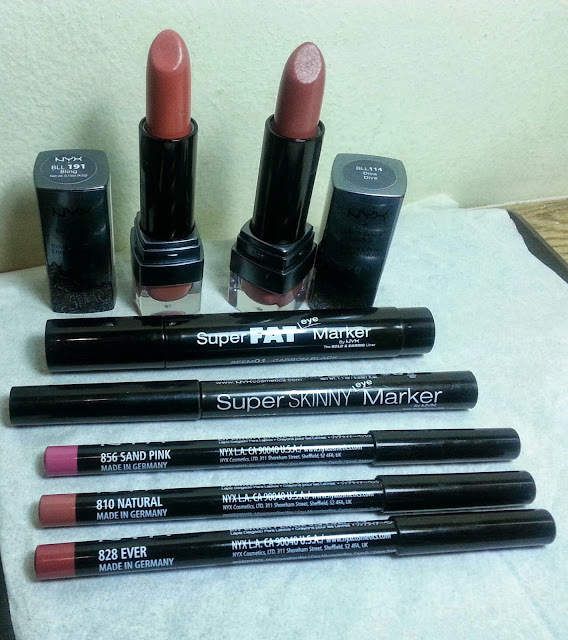 I crossed my fingers for the NYX Super Fat marker, hopefully it would work as wonderfully as the skinny one! 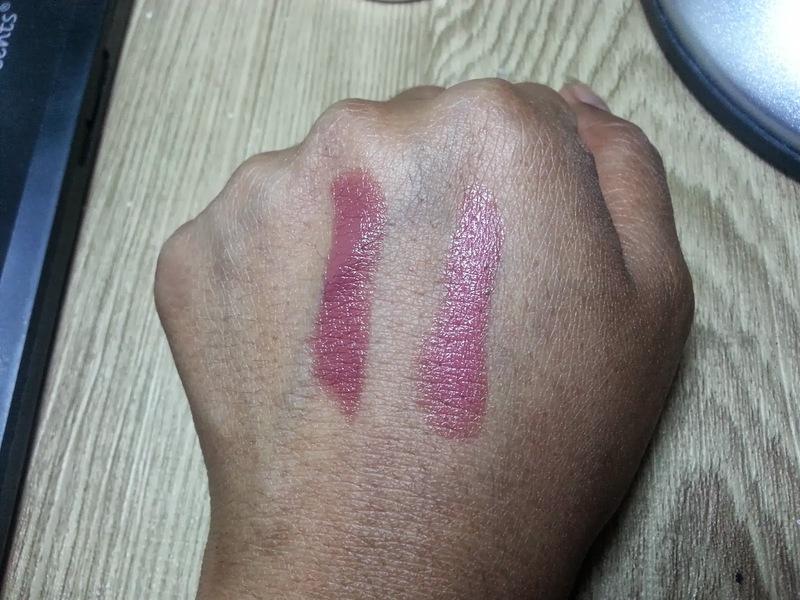 yg aku itu namanya NYX Deep Red, warnanya merah gelap kaya merah bata ...cocok gak tuh kira2 dgn Wardah n WnW nya?